This unique course covers a comprehensive procedure for drawing a beautiful portrait. 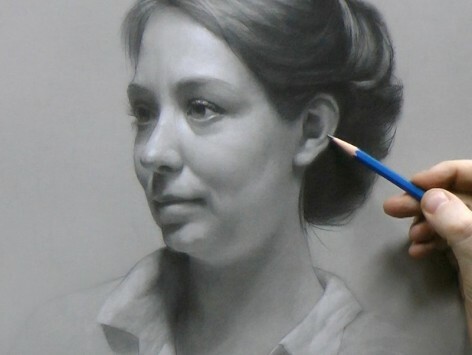 David Jamieson guides students though developing a portrait from start to finish in a video demonstration that presents nearly every last pencil stroke. A Clear, Step-by-Step Method for Drawing Beautiful, Life-Like Portraits. 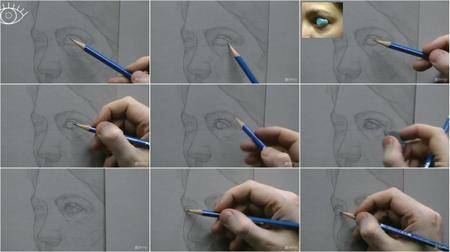 If you’ve ever tried to draw a portrait, you already know that it’s difficult. To get the results you want, there are so many things that have to be done correctly that it can seem overwhelming. When you see beautiful portraits by others, they often seem like magic, and can leave you wondering how did they do that? I’m not here to tell you that portrait drawing isn’t hard. It is. It’s one of the hardest things you can attempt – right up there with learning to play an instrument or speak a new language. But I am here to tell you that successful portraits are the product of a sound method. Good results come from good decisions. Good decisions come in part from knowing what to do, what to look for, and in what sequence. That knowledge is what a good drawing method can provide, which is what I teach my students. 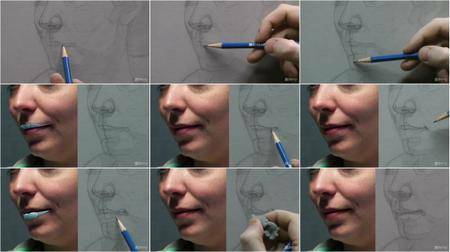 A sequential method for drawing that works for drawing anything – not just portraits. How to use value progressions to capture the effect of the light and make a portrait appear 3-dimensional.